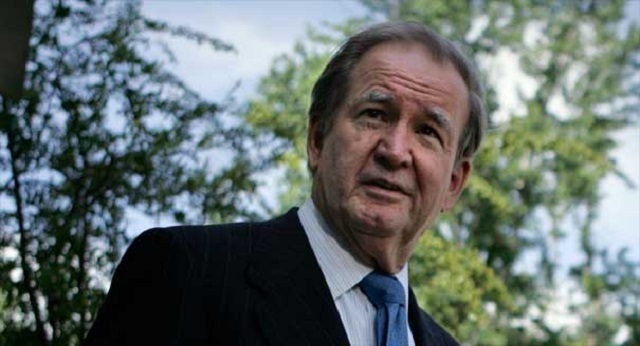 Pat Buchanan: Has The War Party Hooked Trump? "The sole beneficiaries of the gas attacks in Salisbury and Syria appear to be the War Party." “Big price… to pay,” said the president. [...]On John Bolton’s first day as national security adviser, Trump is being pushed to embrace a policy of Cold War confrontation with Russia and a U.S. war with Syria. Yet candidate Trump campaigned against both. The War Party that was repudiated in 2016 appears to be back in the saddle. But before he makes good on that threat of a “big price… to pay,” Trump should ask his advisers what comes after the attack on Syria.